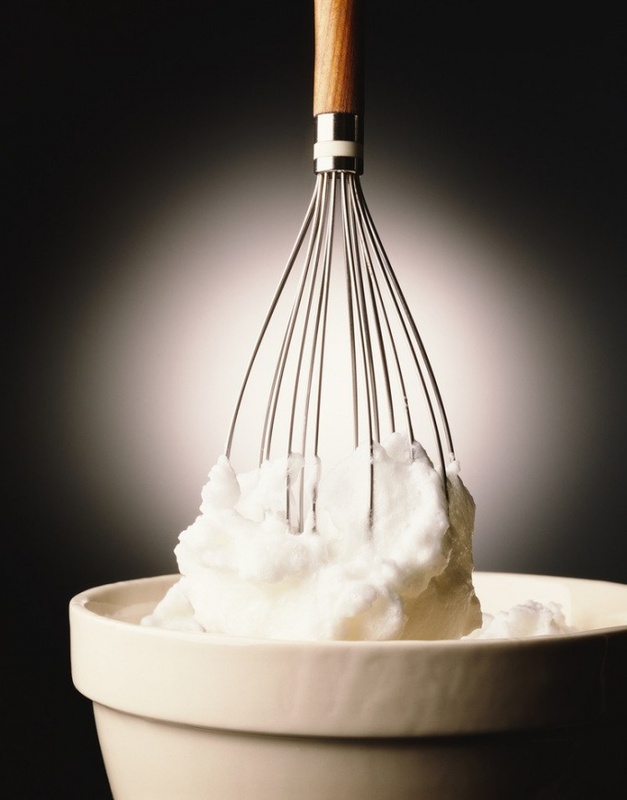 Whipped cream - a simple and delicious solution for toppings and cakes, berry desserts. Would a lush, creamy mass with a sweet taste, depends on what cream you use and how they beat. Prepare a mixture for whipping of the cream: put in a glass 5 teaspoons of powder, add a little cold or warm water and stir. Gradually add water to fill the glass, stirring constantly (the fat content of the mixture shall not be less than 33%). Use dry cream for whipping: add 150 grams of a mixture of a glass of milk according to the instructions on the package, stir until smooth. Note that in mixes for whipping no natural ingredients, they are nice and quick to prepare, but the taste will largely depend on milk. Cool the resulting mixture in the refrigerator. Two minutes before whipping put them in the freezer, but be careful so they do not freeze, otherwise the cream will not be whipped. You can put chilled bowl with the mixture on ice. Also, one or two minutes put in the freezer beater and the capacity of the mixer. Install the low speed and beat for three to four minutes, then increase the speed one notch, beat three minutes and move to the next speed. When the mass thickens, gradually reduce your speed of whisking. Check the consistency by lifting the beaters of the mixer over the capacity: if the cream does not fall from the end and form a cap, then they are ready. Put whipped mixture in the refrigerator. Prepare a simple dessert with whipped cream: buy a ready-made molds for cakes of puff pastry, put half a teaspoon of jam at the bottom of each ramekins, fill them with the whipped cream and garnish with currants, raspberries and blackberries, sprinkle with grated chocolate or decorate with candy beads. Use whipped cream for desserts with fruits, berries, chocolate, caramel. The desserts, in turn, perfectly match with coffee. Apply separately to the tea whipped cream and hot muffins.